Get your credit cards ready! Balmain is releasing its collection with everything under $1,000 and even pieces for as low as $50 at H&M on November 5. We’ve seen Kendall and Kylie Jenner and Gigi Hadid wearing the clothes for months at runway events and on the red carpet. The time has come for the highly anticipated Balmain X Collection to hit H&M stores and if history repeats itself from other H&M collaborations, the inventory won’t last long. H&M’s Versace collection sold out super fast at its debut in 2011, so Balmain is probably confident that the same thing will happen for them. If you’re not familiar with the brand, Balmain is an super expensive luxury French brand – known for its contemporary designs. The brand has been around since the early 1900’s, but continually reinvents itself by hiring fresh young designers like Olivier Rousteing. 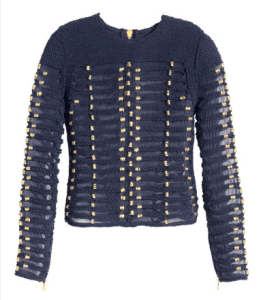 Balmain and affordable aren’t usually in the same sentence, but in this case it is. The limited edition at H&M will help the brand expand its name and draw in consumers who may have been otherwise too intimidated to shop there. 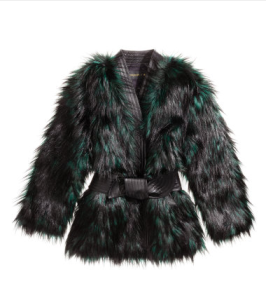 Among the highlights of the collection, faux fur, leather, sunglasses, casual and evening wear. The collection is so good, you could live for a year wearing only Balmain X.
H&M is signing up customers for emails to grab exclusive deals. 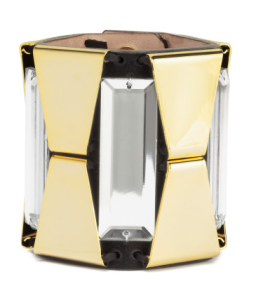 You can also go and preview the entire collection on HM.com.